So, how did catching insects, or more exactly Pokemons, become such a popular hobby overnight? I’ve entered the interesting and complex mind of human beings and analyzed a little the psychological side of this overnight success achieved by Pokémon GO. Here is what I found. 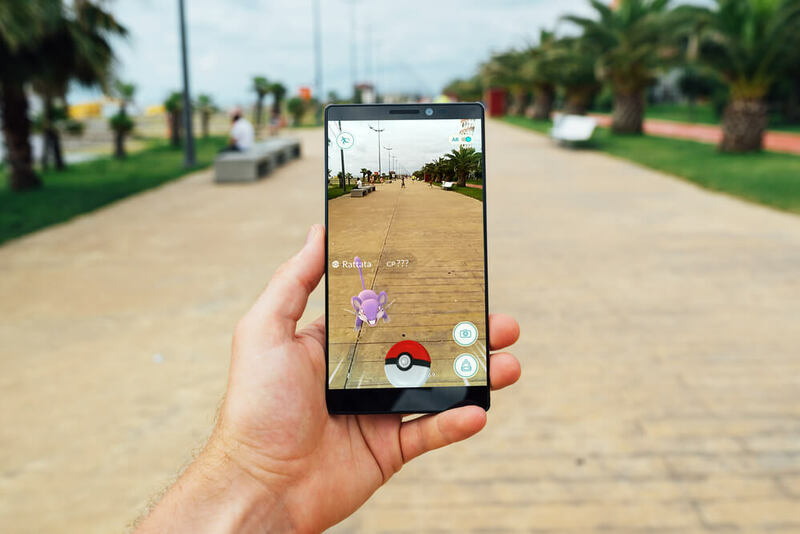 Even though the advent of Pokémon GO introduced many people worldwide with the innovative game style of Augmented Reality, it is actually not a real innovation. Before Pokémon GO, there was Ingress that met a huge success (but nothing like the 75 million downloads scored by Pokémon GO). “Ingress” is a video game released by the guys from Niantic on July 14, 2014, both on Android and iOS platforms. It uses Augmented Reality and the surroundings of its players through GPS tracking to build maps with portals to which you have to travel in real life and explore the map. You can unlock and play with many game items like Resonators (the actual portals), mods, capsules, even weapons and meet new people at the portals. However, with its also impressive number of 7 million players, Ingress clearly does not enjoy the advantage of being the first popular game of this sort. So, if Pokémon GO doesn’t bring a new and elevated game style to the table, what is its real secret recipe to addiction? The only plausible explanation is nostalgia. Think about it: if the game had resorted to new fictional characters, even twice as cute as the Pokemons, would it still have raised so much awareness overnight? The answer is most probably a “no”. The animated TV show “Pokémon” already had a huge fan community. Almost every true 90’s kid has collected and kept their own secret stash of Pokémon goodies, like cards, articles, video games, or DVDs. They are so hooked on this fictional world even from the early days of childhood, that they haven’t really given up on their identity as Pokémon fans. Imagine their excitement when they heard that new gaming technology would allow them to act as a real Pokémon trainer in real life! Studies even showed that nostalgia is a powerful motivational force that Pokémon GO clearly profits the best. The feeling of nostalgia has been linked to optimism, creativity and it even improves social skills. Pokémon GO has beautifully mixed its nostalgic main characters and story with new technology and fun game features. So, it is not just about nostalgia, and players are not drowning in their memories of the old times, but moving forward to discovering new and exciting game features on their own. There are good stories of friendships around the web that couldn’t have become a reality without Pokémon GO. If video games were criticized before that they keep youngsters secluded in front of their computers, Pokémon GO bursts their negative bubbles by going in the opposite direction. It's not just Pokémon veterans who are embracing the new gaming trend, but also newbies to this fictional world. The reason is that thanks to its Augmented Reality, the game migrates from the limits imposed by phones to the unlimited real world. Even if you just lift your eyes for a second from the phone’s monitor, you will immediately get to know more people, especially if you are at the location of a rare Pokémon. Social interaction is the best remedy one can have against depression and anxiety. Lonely people do not willingly cling to their solitude, but they rather feel confined to it due to their lack of self-confidence, shyness, and an introvert behavior. By playing an augmented reality app that encourages you to discover your local surroundings, you eliminate the pressure of setting new relations, while it leads you to create new friendships. Enjoying your time by building collections of famous fictional characters is another social agent that drives people together that worked in the 90’s as well as it is working in today’s world. Similar interests and hobbies tie more social bonds than any social application can create. All in all, Pokémon GO has earned the title of the game of the century due to its benefits for human interaction and the emotional health boosted by nostalgia. It has definitely shadowed the previous gaming hit because it encourages the players to more action and less loneliness like no other. Moreover, it is, without a doubt, a fun mobile game that creates addiction without its negative side-effects, and it was built having social interaction in mind. So, you should definitely give the Pokémon GO a chance and download it on your smartphone. You never know what adventures similar to the one of the 10-year boy Ash await you around the corner!